Would you like to know how to draw on the joy and strength of your soul while dealing effectively with egotists, people with negative attitudes and a world on edge? 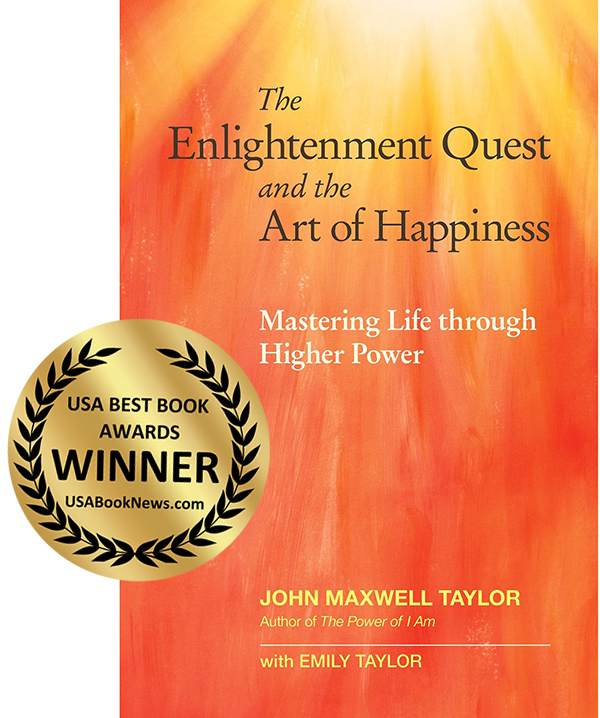 Award-winning actor and playwright John Maxwell Taylor builds on the success of his previous book, The Power of I Am, in this eloquent call to awaken from our collective trance and to claim the transformative power and happiness that is our birthright. The Enlightenment Quest and the Art of Happiness shows us how to master ourselves so that we can harness the energy of higher power to surmount the chaos of the modern world. It provides strategies for “sociological aikido” that allow us to deal effectively with rude behavior, energy vampires, narcissists and the waking sleep of mass consciousness. Through a potent array of practical tools, stories and life lessons, Taylor helps us reorder the events in our lives, the way people respond to us, the impact we have on the world and how to attune ourselves the laws of manifestation using principles the author learned as a resident at the Findhorn Community. Informed by Taylor’s incredibly varied background – from European pop star, to student of Paramhansa Yogananda, Gurdjieff, and Mantak Chia, to resident at the pioneering Findhorn Community, to playing Carl Jung on stage for many years – this book demonstrates how, by understanding the powers active in creation, we can become instruments through which higher power continually flows to advance our evolution toward consciousness. In doing so, we not only transform ourselves, we become powerful agents for changing the world.